1. Go to the workshop and search a mod you want to install. 2. Then click to subscribe. Now the mod is installed. 3. Start Conan Exiles and select the main menu. Here you can find the entry Mods, in which you can activate and deactivate mods. 4. Activate the installed Mod and start the game. 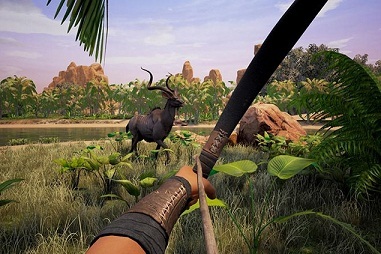 If you have downloaded mods via a different path and now have the file, you must move it to the following folder of Conan Exiles: steamapps\common\Conan Exiles\ConanSandbox\Mods. Then proceed as described above. Start from point 3. 1. The mods must have the extension .pak. Move all of them into a folder that is picked up by the server. An example: ServerModFolder/ConanSandbox/Mods/. 3. Instead of examplemod1, must be the name of the mod. If you now start a server, it tests whether all mods in the text document match those in the folder. If one is missing here, you cannot connect to the server. Now you know how to put the extensions into play. Now you only need the mods. Below we have listed useful and funny mods that you can download directly from the Steam workshop. With this mod you don’t have to worry about exploring the world of Conan Exiles. Caves and the cursed city around center cannot harm you - well, apart from the huge monsters. Instead of curing corruption, you simply won’t get anymore. This mod does exactly what it promises. Modder J0M0 has created something for you, so you can take more items with you. Instead of a stack size of 100, you can now take 1,000 items of a variety in inventory. Yes, Conan Exiles is actually a game for several barbarians on a server. Nevertheless, there are many who play the game in the singleplayer. And for these barbarians the bosses in the caves and subsoils of the world are very hard. For this reason, Spindle has created the Mod "Boss HP Lowered For Single Player Games". For example, the black rhino has only 800 HP instead of 2,199. The Dragon was reduced from 17,355 to 1,000 HP. Even if we want something crap or just look at the map, we immediately attack a beast. We would like to simply take a deep breath from the many defenses and exploring! Player Vodi was similar, so he created a Mod “Pause on Escape”. So far, it only works for single players. Have you ever wondered what it would be like to attack an opponent's clan or NPC with completely exaggerated weapons? Well, Steam user Assessedgrub has created a mod called Weird Weapons. It does not only increases weapons, but also tools. Consequently the powerful bosses in the game don’t look so powerful. In Conan Exiles, you will encounter many spiders - for example, when you encounter the boss spider. If you prefer to fight against snakes, you should “Replace Spiders with Snakes” By Spindle download. Instead of spiders, you run Cobras across the way. The boss is transformed with the mod into another crocodile boss. Perhaps the Modder is synonymous again to the Mod and builds a huge queue.